During this summer, the Jenks Food Bank is in need of volunteers on Friday afternoons from 3:45-approx 5:15pm. Volunteers will be unloading the Trader Joe’s donation, sorting it, and storing it for Saturday’s distribution. It’s a lot of fun! This week is Teacher Appreciation Week and in order to show our appreciation to them, students are volunteering to babysit for the teachers so they can go on a date night, run errands, or just get out of the house. Volunteers would babysit for 2 hours unless discussed otherwise. If you are interested, please email elissa.mahaffey@jenksps.org for more information. About 6 people are needed this Saturday, May 12, at several of the post offices to help pre-sort product to be sent to the Food Bank that evening for Stamp Out Hunger at the Eastern Oklahoma Food Bank. If you are interested and willing please register on our website for the following Post Offices. https://okfoodbank.org/volunteer/ On the right side of the website, scroll down to find the Stamp Out Hunger and where events need volunteers and click to register to volunteer at that location. Volunteers under the age of 16 need an adult to accompany them. This year, Graduation is on Monday, May 21st and 6-8 volunteers are needed to hand out programs at the doors. Graduation begins at 7pm, so volunteers need to arrive by 6pm. You will have to enter on the West side (facing Walmart) and you’ll need to check in with the guard (student ID is advised). Make sure to dress nicely as well. Graduation is at the Mabee Center- 7777 S Lewis Ave, Tulsa, OK 74171. Contact hungerelimination@jenkskeyclub.org if you have questions. Come to the Kiwanis Trash Bash on May 12 from 8am-4pm! It is located just east of golf course on Main Street in Jenks-almost to Elwood. We need teams of 2 working 2 hours shifts all day long. The goal is to collect money, direct traffic, and help unload large items if necessary. 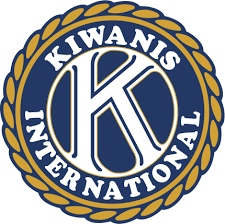 This is Kiwanis’ largest fundraiser and it is also used (in part) to provide scholarships. It is also really fun! The May General Meeting has been moved to Thursday, May 3, before and after school in the building 6 auditorium. This meeting will be led for the first time by your new officers for the 2018-19 school year! Please come! Also, board member applications are due the next day, May 4, to Mrs. Langley’s room at 4 pm so don’t forget to turn them in. Board Member applications for the 2018-19 school year are now available! If you think you would be a good addition to the Jenks Key Club board and want to organize service projects for members, then feel free to apply! Applications are available to be picked up at Mrs. Langley’s room 216 in the JMASC. Board member applications are due by Friday, May 4, at 4:00pm to Mrs. Langley’s room. 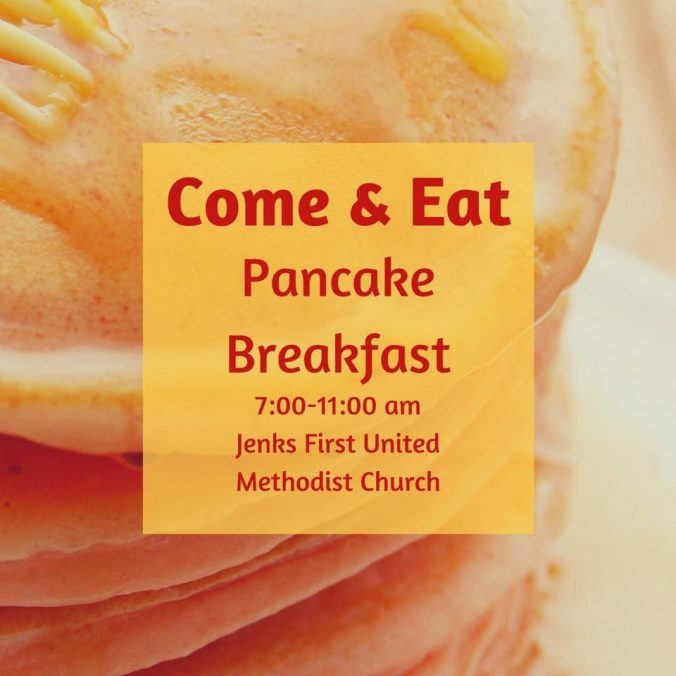 On Saturday April 28th, the Jenks Kiwanis will host their Annual Pancake Breakfast at the Jenks United Methodist Church from 7 am to 11 am. This breakfast fund raises for Senior Scholarships. You can earn hours by just attending and enjoying pancakes!! You will earn 1 service hour by attending and eating the breakfast. If you bring another person (for example, your mom, your dad, or a friend who is not in Key Club), you will get 2 service hours. The cost is $7 per person. After the breakfast, go to jenkskeyclub.org to turn in your hours! While the Jenks Community Food Bank is coordinating to feed the students of the Jenks School District that are in need during the teacher walkout, they also need help to distribute food to the families that regularly come to the food bank on Wednesday’s. The distribution will start at the food bank but may need to move to the dining hall at the high school. They only need 10 volunteers to volunteer from 9:45-noon so sign up fast! It’s a great way to spend a few of your hours during the walkout. Contact me at hungerelimination@jenkskeyclub.org if you have any questions.